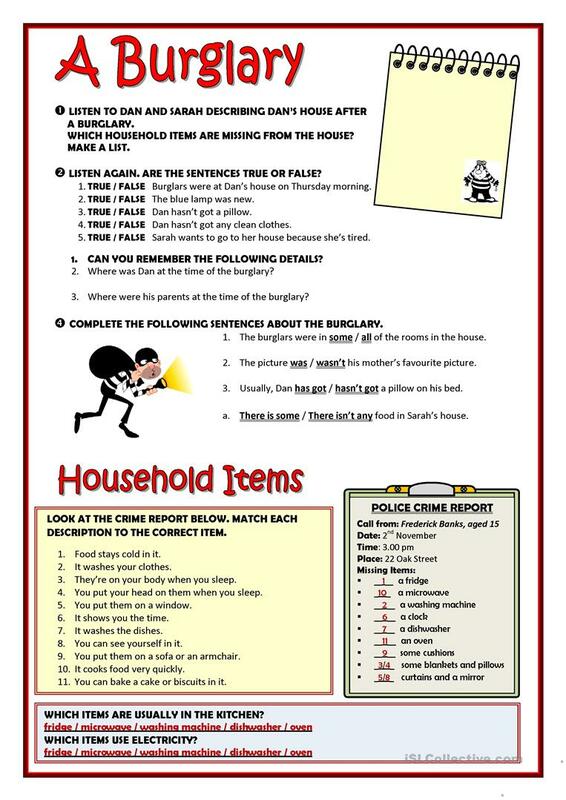 To be (Past simple) A2 listening activity and Household items vocabulary. Script, audio file link and key provided. 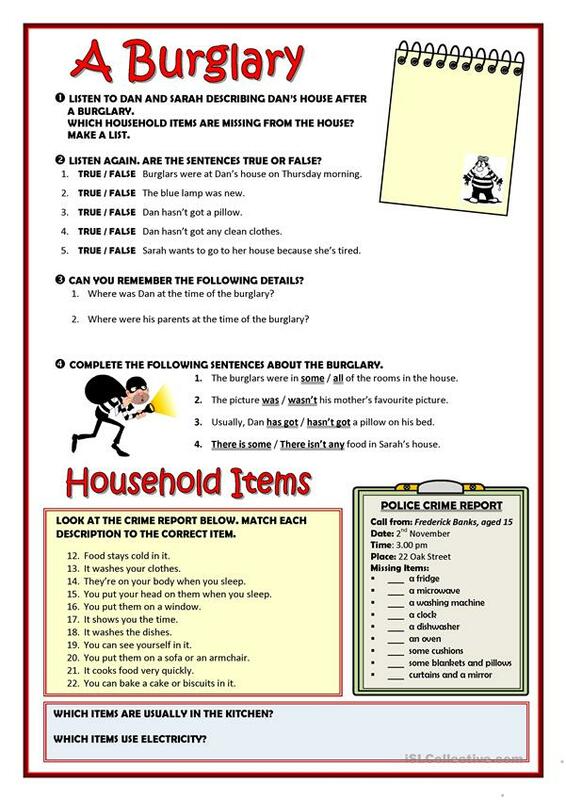 It can also be used as a Reading comprehension activity. This printable, downloadable handout is intended for high school students, elementary school students and adults at Pre-intermediate (A2) level. It is aimed at practising BE (auxiliary verb) in English, and can be used for enhancing your class' Listening skills. It centers around the vocabulary topic of Crime, law and punishment. It includes a key, too.